If ever there was a story to indicate the pace of change, it’s the McDonald’s decision to purchase a tech business whose speciality is AI-driven personalization. On the one hand, the Dynamic Yield acquisition is a fascinating example of the blurring of digital and real-life channels – exactly the vision of omnichannel we at Thunderhead have been championing for years. On the other, it’s maybe something of a missed opportunity. I want to talk about both sides. While the acquisition, rumoured to be valued at $300m, is McDonald’s biggest in 20 years, it hasn’t come out of the blue. Since the 2015 appointment of CEO Steve Easterbrook, the fast food goliath has followed an increasingly “data-led” strategy. Interactive menus have replaced static store signs and tellers, and the mobile app lets customers save favourite meals or order ahead. Behind the scenes, data is ever more important in streamlining production and cutting waste. Despite this, the nature of the business means McDonald’s serves the majority of its 68 million daily customers in person, with buying decisions made there and then in the store. If digital retailers can leverage personalization technology to power recommendations, why shouldn’t McDonald’s use it to simplify and influence customer choices at the checkout? That’s exactly what the burger chain successfully trialled prior to the Dynamic Yield acquisition. 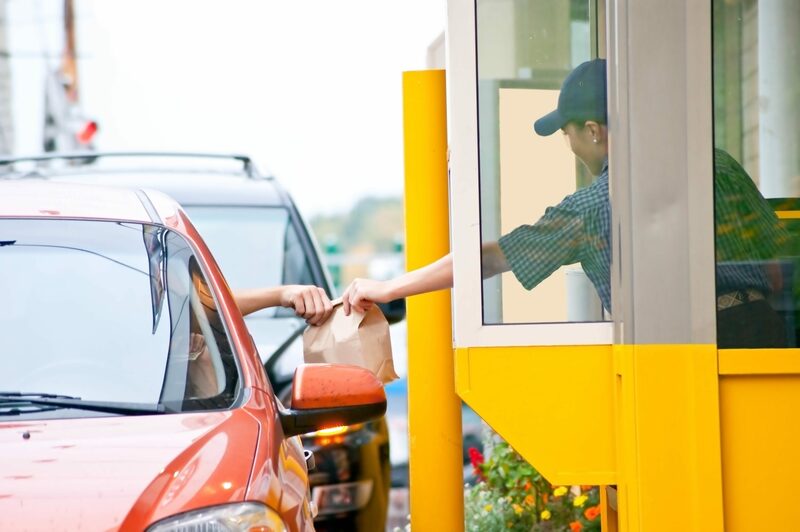 Customers pulling into a Miami drive-thru were presented with dynamic menus, updated with food choices tailored to reflect factors such as weather, local events, and simply what was popular with other diners. There’s an enormous appetite for this kind of smart technology in retail, and with it, big potential. Walmart has established its own technology incubator in Store Nº8. And last year sports giant Nike acquired Zodiac Metrics, a consumer data analytics firm specialising in predictive analytics and Customer Lifetime Value management, to help drive their digital transformation and direct-to-consumer program. While the McDonald’s trial explored limited personalizations, Wired cites McDonald’s executives who suggested use cases such as speeding up the line by promoting quick-to-prepare menu items. Easterbrook suggests predictive analytics will ultimately reach further back through the supply chain, streamlining operations and reducing waste still further. There’s great potential in the technology, but getting to the personalization bit presents a problem. In digital channels we can identify customers and present personalized recommendations or actions before time of purchase, although in many retail scenarios, brands have no idea who customers are until they pay using a phone, card or app. Sure, the early iterations of McDonald’s technology will customise menus based on various factors, but the personal preferences, history or wishes of the customer won’t be among them. Easterbrook is only too aware that true personalization, and the real return on his investment, lies somewhere down the line. “If customers are willing to identify themselves,” he notes, “we can be even more useful to them, because now we call up their favorites.” In fact, Thunderhead’s Engagement-Led Marketing research shows that customers are increasingly happy to provide personal data, provided they get meaningful returns. But what is meaningful? Even once McDonald’s can identify its customers before they order, Dynamic Yield’s technology is only going to serve them personalized menus and offers. Will a few previously ordered items feel like a great experience if they’re lost among ‘inside-out’ options, driven by business factors like store performance or sales targets? In truth, leading with customer experience takes more than simple personalization. It means building a relationship in which the brand knows the customer as an individual, and uses that as the basis to understand and pre-empt their wants. Operating at the scale of McDonald’s, it means having insights based not just on aggregated behaviour analysis, but on the actual individual customer journey, and the context and intent the business can derive from everythingit knows. What McDonald’s needs is not a personalization engine, but a customer journey orchestration platform. Like so many retail brands, it needs to go beyond crude personalizations – ‘other customers are buying this’ and ‘buy this again?’ – to individualization. It must only show content or offers that are truly relevant. If personalization means remembering that the customer likes beanburgers, individualization is knowing they’re a vegetarian. What’s the difference? If personalization means remembering that the customer likes beanburgers, individualization is knowing they’re a vegetarian. If personalization is offering discounted coffee, individualization is remembering that last time the fries were cold, and making up for it with free ones. It’s early days for his Dynamic Yield investment, but without viewing this data through the lens of millions of unique customer journeys, he’s getting nuggets, when he could be enjoying a happy meal.